Today starts another challenge at One Stop Craft Challenge! This weeks theme is Anything but Square! Our sponsor for this challenge is Stitchy Bear Stamps! You can check out their wonderful designs here! Please head over to the One Stop Craft Challenge blog and enter your project today! We love to see what you create! Great job Dawn, and it's back to school for Ben on Wednesday! 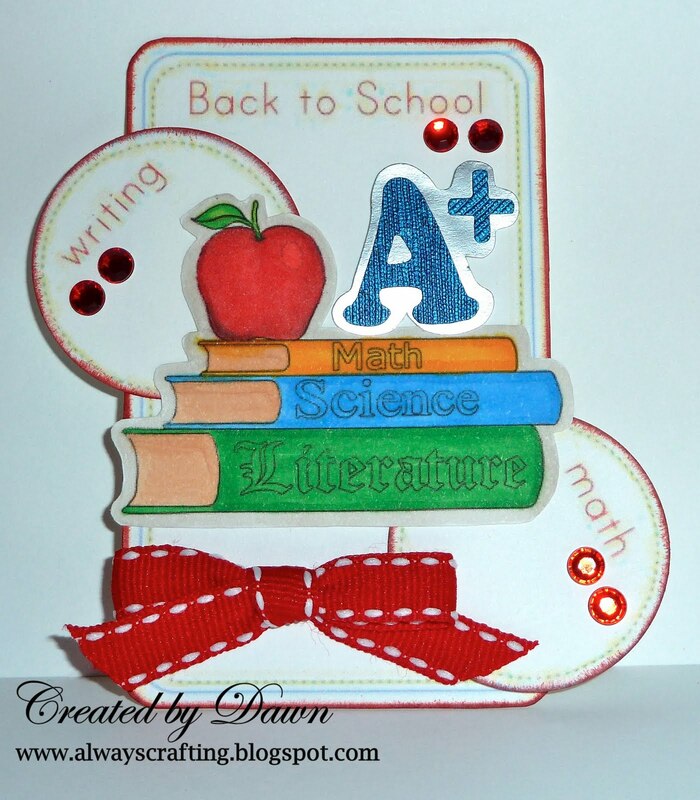 Great tag Dawn, it will work well on your scrapbook page.